Those who stay in Costa Rica for a while develop a noble affection for the bean. And nowhere does this affection have as much opportunity to grow than with the national breakfast dish known as Gallo Pinto. It is made with a mixture of black beans, rice, and well-seasoned with onions, sweet pepper and fresh coriander. Soon you will be hooked on this Tico breakfast! By Central American standards, Costa Rica is an open and inviting place for gay and lesbian travelers, who will find a wide range of networking resources. There is a thriving gay nightlife in San José, but compared to it, fewer amenities exist in other parts of the country specifically tailored to gays. Gay and lesbian couples will find Costa Rica’s many resort communities hospitable, and should not have any trouble locating comfortable accommodations. Several local publications to consult concerning the gay/lesbian scene include Gente 10, which includes some articles in English, and YKE Noticias Boletín which reports on gay and lesbian politics in Costa Rica and Latin America. You can also consult The New Key to Costa Rica or the Exploring Costa Rica Guide published by the Tico Times for more information on gay and lesbian friendly hotels and resort locations. In addition, ILISA has a listing of local restaurants, bars and hotels catering to the gay and lesbian community. 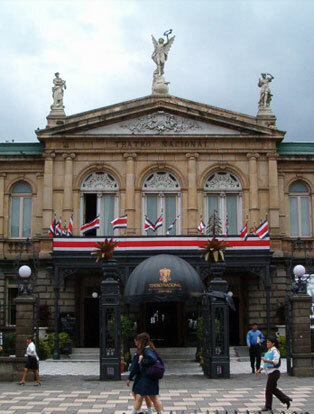 You can also find out more about the gay and lesbian community in Costa Rica at website http://www.gaycostarica.com. 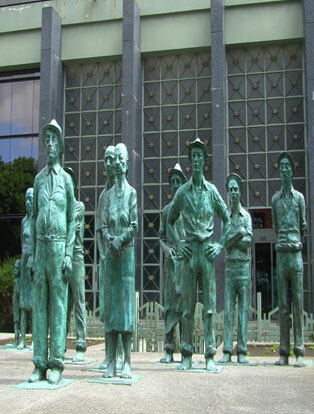 July 25, Guanacaste Day, celebrating its annexation. December 24, 25, Christmas Eve and Christmas Day. While these are the official holidays, during Christmas holiday week between Christmas and New Year’s, and during Easter week (Holy week) from Wednesday noon through Sunday, most of the country is shut down. Not only are the banks and offices closed, but buses don’t run on some days, meaning that you need to plan ahead where you will be, with reservations, and how you will get around. Each year, ILISA is closed on January 1, the Thursday and Friday preceding Easter, May 1, July 25, August 15, September 15 and December 25. There are no classes on these days and only private classes will be made up. Our homestay program is a very important part of your overall language experience. We have selected our families with careful consideration with respect to their friendliness and helpful attitudes towards students. We have also selected homes that offer a level of comfort not too far from what you are used to finding in your home country. Our selection process assures that all our students will have a comfortable and pleasant stay in Costa Rica. Although our families receive compensation to provide you a home, they do enjoy having a foreign student as their guest. With a little flexibility on both sides, you will develop a friendly and beneficial relationship with your host family. Meals Your family will provide you with breakfast and dinner. 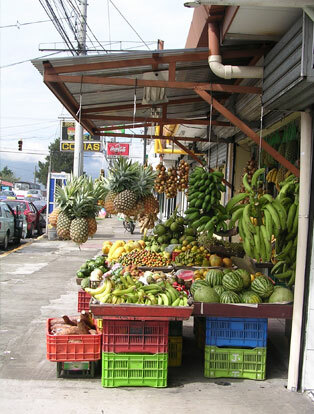 Fresh fruit and vegetables in Costa Rica are abundant and tasty, so make sure you ask your host to serve you plenty of both. If you feel you need more food at breakfast or dinner, please ask for it. It is not considered polite to go to the refrigerator to help yourself unless they indicate that it is O.K. However, most times you’ll find your family gives you more than you can eat. If you’re a weight-watcher, please don’t hesitate to indicate that you can do with less. Normally you will eat the same food as the family. Unless you have indicated special diet restrictions on your application form, you should not expect your family to make you special meals. (If you did not indicate this ahead of time, let the Homestay Coordinator know so that she can talk with your family about your needs.) If you can’t live without your favorite type of food, we recommend you buy it in a local supermarket. These kinds of foods are normally imported and are very expensive by Costa Rican standards. If for some reason you are having dinner elsewhere, please be courteous and notify your family of your change in plans ahead of time. 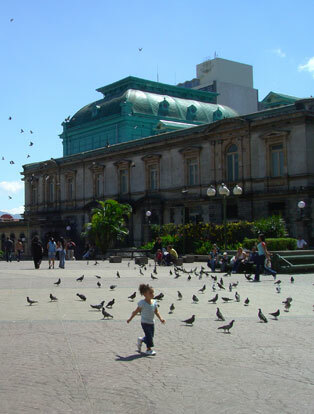 In Costa Rica, families often do not eat together. As a result, dinner does not necessarily have the social character it does in most European or North American homes, i.e., that of a family gathering. Although we have requested our families to share all meals with you, this may not always be possible, and as a result, you may find yourself eating alone from time to time. If you find yourself eating alone too often, please let us know so that we can make the appropriate changes. Sharing meals with your family is one of the best opportunities you will have to practice your Spanish and learn more about Costa Rican culture and values. We therefore encourage you to make the most of this opportunity. Costa Rican’s Are Early Risers The daily routine of the people in Costa Rica will probably be a little different from what you are accustomed to. Daily life in Costa Rica starts very early: most people are up between 5:00 – 6:00 a.m. Consequently, many Costa Ricans go to bed between 8:30 – 10:00 p.m. If you come in late at night, please keep this fact in mind. Personal HygieneCosta Ricans are accustomed to bathing daily and changing their clothes regularly and they try to always maintain a neat appearance. Meeting or exceeding these standards will be greatly appreciated. Room-keeping & Laundry Service Your family will keep your room and bathroom clean. To make things easier on your family, please help by keeping your room tidy. Your family will provide laundry service that includes changing your linens every week. It is important to know that women are usually expected to wash their own underwear. If your hosts do not explain this when you arrive, you can ask them to show you how and where you can wash them. Some families may offer to wash them for you. Hot Water Due to the mild climate, homes in Costa Rica usually have hot water only in the shower. Many use an electric heating device for this purpose, so do not expect a steaming hot stream of water like you are accustomed to at home. Since these devices work through an instant heating process, the more you open the faucet, the colder the water gets. To activate the heating device a small flow of water is required. Fully open the faucet and then reduce the flow of water until you get an acceptable balance between temperature and flow. The discussion about how hot the water actually is goes on and on, but if the device is working, you will get a decent flow of warm water. If you feel the water temperature is unacceptable, talk to the family about the problem. If after this nothing improves, please talk to our homestay coordinator. Keys Your family will provide you with a key to the front door and one to the gate. Please feel free to come and go as you please. Of course, be considerate if you return home late at night, and always lock the door behind you. Family Telephone Please note that all local calls in Costa Rica are time-charged, including those within the city of San Jose. Please take this into account and be considerate when using your family’s telephone by using your phone card or calling collect at all times. For instructions on making calling card, long distance or collect calls see the Phones section of this guide. The local phone company (ICE) has an office in downtown San Jose where you can make international calls 24 hours a day by payng with your credit card. They also sell prepaid “colibri” phone cards for larger denominations that are designed specifically for tourists. ILISA keeps phone cards in stock as well. Direct dial local and international calls can be made by use of money or local phone cards, which can be purchased at the front desk of ILISA and used at the phone there or at the pay phone in front of the school. Guests It is recommended, as a courtesy, to inform your family of any visitors that you might have. Under no circumstances are you allowed to have overnight guests. FriendshipEvery family is different, so each student will undergo a different experience. If you show cultural awareness and respect the rules of the house, your family probably will include you in their social activities, outings, etc., and your homestay will grow into a rewarding and lasting friendship. Length of Stay As a student you will stay with your host family for the length of the program. We frequently place our students with their families well ahead of their arrival. If you would like to stay with your family for a longer period of time after your planned departure, please make the necessary arrangements with the school as soon as possible. The homestay cost covers payment to the family as well as airport transfer to your homestay, a placement fee, administrative overhead, and fees or discounts to agents and universities. Families cannot accept payment from, or make direct arrangements with students. Please do not ask them to do so. A Gift You may have thought about bringing something for your future hosts as a nice gesture thanking them for their hospitality. We suggest that you bring a small gift from your home country such as a book, sweets, a souvenir, etc. The important thing to remember is that the symbolic value of the gift is much more important than the monetary value. Some suggestions: chocolates, postcards from your home, a book of photos from home, a traditional food or a picture of your family. Giving a gift to your family is an optional gesture that you should not feel obliged to fulfill. Dutchmen beware: Do not bring any “drop”, “ticos” don’t really seem to like it (the director does!). Family EvaluationWe are often asked how we select our families and especially where we find such nice people. One explanation is that there are just an awful lot of nice people in Costa Rica who really enjoy receiving guests into their homes. A key to maintaining such a fine group of host families is the constant evaluation of the families by our students. On your first Thursday at ILISA you will receive an evaluation form. We kindly ask that you please fill it out completely. If there is anything you feel we should know about, please write it down on the form. Both positive and negative comments will allow us to maintain a well-selected group of families. All families should provide you, at a minimum, with a quiet place to study, a small desk with sufficient light, a variety of good food, keys to the house, as well as take care of your laundry and make an effort to include you in the family activities. The rest is up to you! Musts: Film and camera equipment, sunscreen (SPF 15+), pocket alarm clock or watch, comfortable shoes, beach towel, soap/shampoo/toiletries, umbrella, comfortable clothes, dictionary, pen and paper, valid passport, sweater, rain poncho, sunglasses, insect repellent. Optional:Swiss army knife, cassette tapes, snorkel and mask, aspirin, a cup, flashlight, daypack, hiking boots, ziploc bags, gortex parka and pants, sun hat, small first aid kit, washcloth. Please keep in mind that you can purchase most essentials in the stores here if you forget anything.